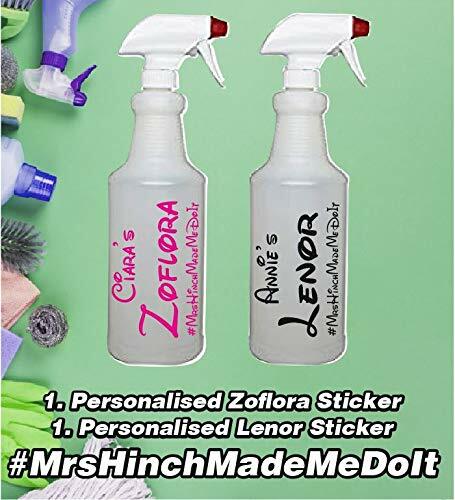 2 Personalised Zoflora & Lenor Spray Bottle Sticker Inspired By Mrs Hinch Army Join the craze and make your own Zoflora & Lenor personalised spray bottle with these vinyl stickers. Please let me know the name and colour you would like either via message or use the 'note to seller' section. 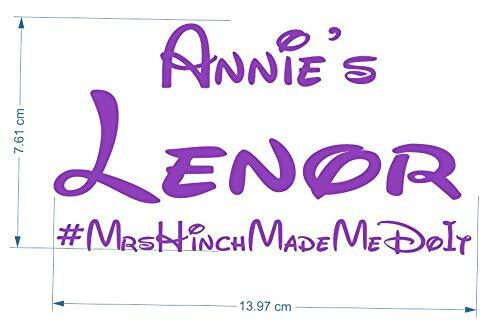 All items are made to order so if you would like a different product name please ask. 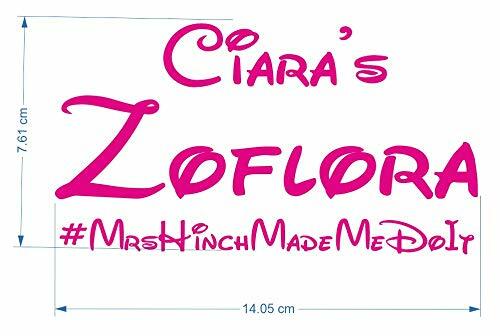 LISTING IS FOR A VINYL STICKER ONLY BOTTLES ARE NOT INCLUDED Stickers are approx 5.5" x 3" very easy to apply they also come with full instructions.